Despite apocalyptic predictions from a vocal alliance of health professionals, politicians and social commentators that rising obesity levels would lead to a global health crisis, the crisis has not materialised. 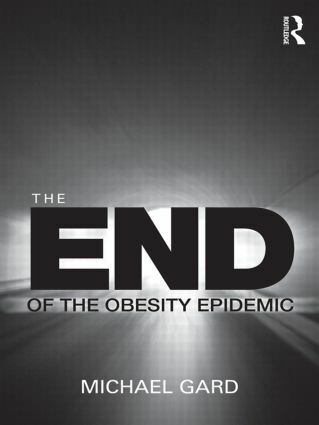 In this provocative follow up to his classic work of obesity scepticism, The Obesity Epidemic, Michael Gard argues that we have entered into a new, and perhaps terminal, phase of the obesity debate. Evidence suggests that obesity rates are levelling off in Western societies, life expectancies continue to rise in line with rising obesity rates, and across the world policy-makers have remained largely indifferent and inactive in the face of this apparently deadly threat to our health and well-being. Dissecting and dismissing much of the over-blown rhetoric and ideological bias found on both sides of the obesity debate, Gard demonstrates that the science of obesity remains radically uncertain and that it is impossible to establish an objective ‘truth’ on which to base policy. His powerful and inescapable conclusion is that we should now mark the end of the obesity epidemic. Offering a road map through the maze of claims and counter-claims, while still holding to a sceptical standpoint, this book provides an unparalleled anatomy of obesity as a scientific, political and cultural issue. It is essential reading for anybody with an interest in the science or sociology of health and lifestyle.